If you have been issued a speeding ticket in Virginia you may or may not need a traffic attorney. In order to know whether it makes sense for you to hire a traffic attorney you should answer the following questions. How much will this speeding ticket affect my auto insurance? 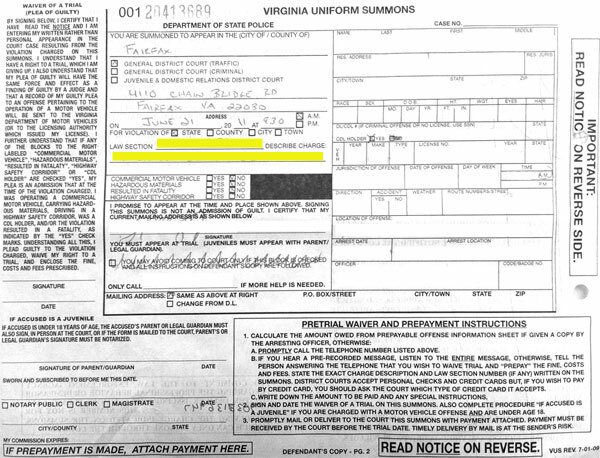 Luke Nichols and Garrett Green defend speeding tickets in Northern Virginia. Call (703) 383-9222 for a free consultation. Increases in auto insurance premiums are often the most expensive part of a speeding ticket. Premium increases can cost much more than attorney fees, fines, and court costs combined. It is very difficult for an attorney to estimate how much a single speeding ticket will increase your auto insurance. For the most accurate estimate you should talk to your insurance provider. However, here are some general guidelines regarding speeding tickets and insurance premiums. 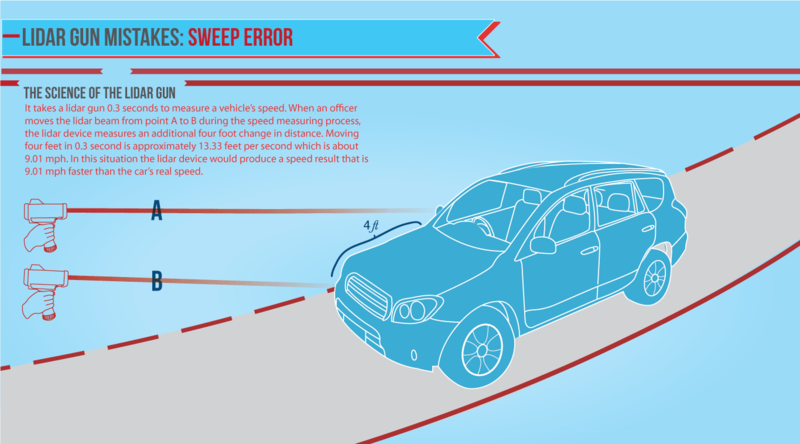 First, the better driver you are, the more a speeding ticket may affect you. If you have a very low insurance premium due to a good driving record, you are more at risk of a significant increase than the average driver. If you are covered through a preferred provider (an insurance company that specializes in safe drivers) or if you receive a “good driver discount” your chances of a premium increase may be higher than average. On the other hand, if you have a poor driving record and you receive too many speeding tickets, your insurance company may choose to stop coverage. If you have any reason to believe that your insurance company may drop you as a client, you may want to consider hiring a traffic attorney. When insurance rates increase they usually do not come down for three to five years. That means that a $400-a-year increase in premium can cost a driver $1200 to $2000. If your insurance premium increases, make sure you know how long it will stay at the increased level. Additionally, if your insurance premium increased three to five years ago and you have not received any new violations during that period, you may be scheduled for a rate decrease. You may want to contact your insurance provider to determine whether your speeding ticket will jeopardize your scheduled insurance rate decrease. The faster the speed you are accused of going, the more likely it is your insurance will increase. Some insurance companies will treat speeding tickets that are more than 20 mph over the speed limit the same as reckless driving tickets at the same speed. If you are accused of speeding more than 20 mph over the limit, you should consult a local Virginia traffic attorney. If you are under the age of 25 or have been with your insurance provider for less than five years then you may be at a higher risk of an insurance increase. If you fit into this category you may also want to hire an attorney. Will the DMV restrict or suspend my license? If you have a Virginia driver’s license and you have received one or more traffic tickets in the past twelve months or two or more tickets in the last 24 months then you may be at risk of a DMV license suspension and should consult a Virginia traffic attorney immediately. For more information about the Virginia DMV point system and DMV license suspensions click here. If you have an out-of-state license, contact your state’s DMV to determine whether your driving privileges may be affected by a Virginia speeding ticket. If you are on DMV probation or a DMV control period when you received your speeding ticket you should consult a traffic attorney immediately. If you have received any letters from the DMV within the past two years or if you have been required to take a DMV class within the past two years, then there is a good chance you may be on DMV probation or in a DMV control period. To determine whether you are in danger of having the DMV take away your license, get an official copy of your Virginia DMV record and consult a Virginia traffic attorney immediately. Will this ticket affect my employment? If any of these conditions apply to you, you may want to consult with your employer (or professional organization) to determine whether your speeding ticket will affect your job. If a speeding ticket will affect your employment, then you should consult a traffic lawyer immediately. What if I am on probation, parole, or bond? If you are on active probation, inactive probation, parole, or bond, a speeding conviction may violate the terms of your status. This is especially true for some forms of inactive probation. People who are convicted of criminal traffic offenses often receive “suspended fines” and “suspended jail time”. These are punishments that you do not have to serve if you do not break the law for the next year or more. A person who is on inactive probation has no probation officer and does not have to do anything other than stay out of trouble. At the end of the probation term a background check is performed and if a conviction appears on the person’s record then he can be ordered to serve the suspended portion of his punishment. Some judges consider traffic tickets a violation of inactive probation, especially if the original charge was a traffic offense. If you are on probation, parole, or bond, a single speeding ticket may result in jail time and/or other consequences. Consult a traffic attorney immediately if you were on any form of probation, parole, or bond when you received a speeding ticket. Is there any chance of a lawsuit? If your speeding ticket involved an accident or injuries (whether or not the accident was your fault), you should consult a traffic attorney regarding the possibility of civil liability. In some situations, the choices you make in regards to your traffic ticket can make it easier for other people or insurance companies to sue you and/or make it harder for you or your insurance company to recover damages from others. If you received a speeding ticket or any traffic ticket and there was an accident involved there is no reason not to receive a free consultation from a traffic attorney immediately.